Summer is ending, but local foods are here to stay! Farmers markets are an excellent field trip to help kids learn more about their food system and to make healthy food choices. A recent article about the Rochester Public Market in New York featured stories about parents who use farmers market as an educational tool to not only teach their children about healthy food, but the importance of supporting your local farmer and environment. 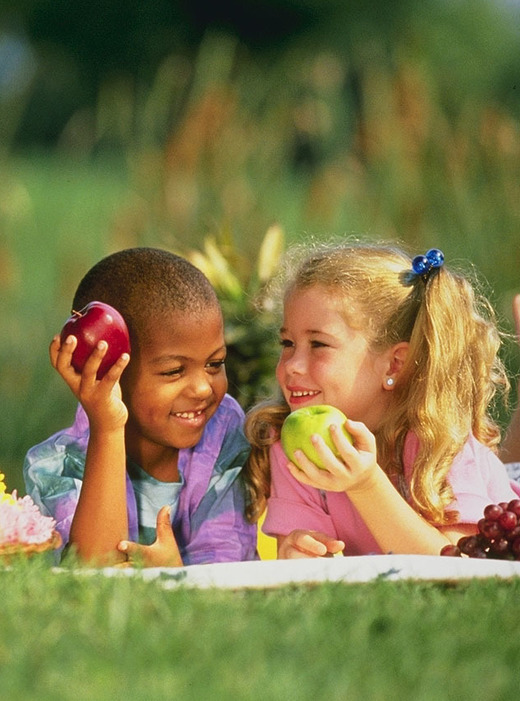 This month, we celebrated National Kids Eat Right Month and National Farmers Market Week. These events align with the overall goal of exposing our youngest eaters to locally grown foods and building communities by supporting small agribusinesses. Although August is coming to an end, it is never too late to visit your local farmers market and get the kids in your life excited to try new, local foods. 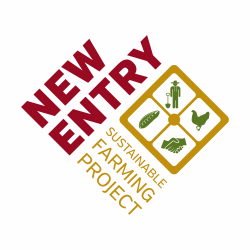 New Entry Sustainable Farming Project offers training and technical assistance to applicants and potential applicants of the Community Food Projects grant program through USDA National Institute of Food and Agriculture. The FY 2018 Request for Applications is anticipated to open this Fall, and New Entry is here to answer your questions and connect you with resources to assist you in your application and project development processes. Please click here to see the CFP resources and assistance page. The Indicators of Success for project evaluation. This webinar is the first of two webinars that will discuss and identify potential routes of contamination in harvest and post-harvest settings including harvest, washing, storage, packing, cooling, and transportation. Key principles of pest control programs, cleaning and transporting produce, corrective actions that can be taken to reduce risk, and recordkeeping requirements will be discussed. For more webinars in this series, please visit IFAI's website to register for all remaining webinars. All presentations are free and open to the public. The IFAI has developed this series of food safety webinars to help Native American farmers, ranchers and food producers to understand the importance of food safety and what is necessary to reach compliance under the FSMA. Attendees will learn about produce safety, food-borne pathogens, worker health, wildlife, land use, post-harvest handling, and legal issues associated with food safety in Indian Country. School Garden Support Organizations work to prepare teachers, organization staff, and community volunteers to lead students in garden-based learning activities. Learn different approaches School Garden Support Organizations use to lead high quality professional development for garden educators. Head Start offers vital, high quality early care and education (ECE) opportunities to low-income families across the country. Farm to ECE offers benefits that support the goals and priorities of the ECE community, with a particularly strong alignment with Head Start priority areas, including an emphasis on experiential learning opportunities, parent and community engagement, and life-long health and wellness for children, families, and caregivers. Join this webinar to learn about the exciting new resource from NFSN, “Growing Head Start Success with Farm to Early Care and Education,” which aligns Head Start Program Performance Standards and the Early Learning Outcomes Framework with farm to ECE opportunities, and to hear from Head Start practitioners about best practices and successes in implementing farm to ECE in the Head Start setting. The LSU AgCenter is hosting a statewide farm-to-school conference to bring together school administrators, teachers, parents, food service managers, farmers, and food distributors in the interest of Louisiana agriculture, school gardens, and healthy school meals. The conference will center on education, gardening, and procurement, with technical assistance in areas such as curricula incorporation and culinary education, food and garden safety, and local food procurement. Keynote speakers and agenda to be announced! The conference will be separated into two tracks to focus on different areas of Farm-to-School. Please register for the track you will be attending. Cafeterias in schools, early care and education settings, universities, prisons and hospitals serve more than 40 million Americans every day, placing the farm to cafeteria movement at the forefront of the fight to end obesity and strengthen local food systems and economies. The National Farm to Cafeteria Conference is the only national gathering of stakeholders from across this movement, making it the premiere opportunity to learn, network and collaborate with likeminded leaders from across the country. Registration will open in January 2018 – mark your calendar now! Do you have expertise to share? NFSN is seeking proposals for conference content (workshops, posters, etc.) from stakeholders interested in sharing their models and strategies for making farm to cafeteria initiatives a reality in their communities. The Request for Proposals will open in September. Keep an eye on your inbox, the NFSN website and social media (Twitter, Facebook, Instagram) for additional information, coming soon. Farm to School, Meet Trout to Tray! We think of farm to school as incorporating local produce, dairy, grains and meat into school meals, but let’s not forget fish! 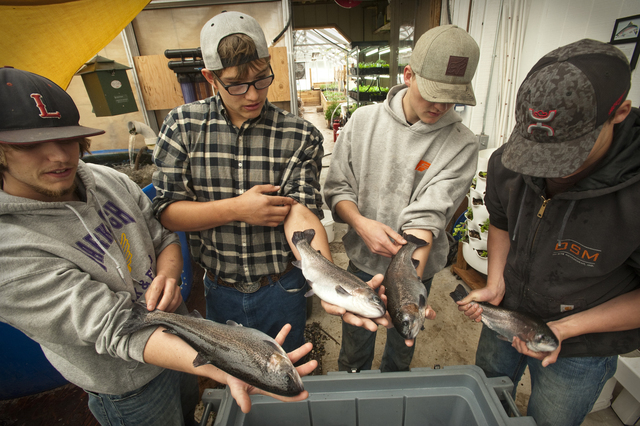 Innovative high school students in Livingston, Montana are growing fish in an aquaponics system just a few steps from the cafeteria as part of a new Trout to Tray program. The ultimate goal of Trout to Tray is to feature student-raised native Montana fish in school meals. As part of a pilot project in 2017, students harvested and sold 13 pounds of butterfly filleted Rainbow and Cutthroat trout to Mountain Sky Guest Ranch. Trout to Tray requires significant teamwork with community partners including the Livingston School District, Montana Fish, Wildlife & Parks, Montana Roots, Trout Culture and Mountain Sky Guest Ranch. Trout to Tray is part of the growing Livingston Farm to School program, which aims to bring together delicious, healthy, sustainable school meals with hands-on learning opportunities in school gardens and classrooms. The Livingston School District received a USDA Farm to School Grant in 2013 to support its early work. Farm to school efforts center on the Park High School Plant Growth Center (PGC) – a learning laboratory for students and the community located adjacent to the high school central kitchen, where school lunches incorporating student-grown produce from the PGC are prepared each day. Production in the PGC focuses on soil-based cultivation methods and a state-of-the-art aquaponics system. Livingston Farm to School is creating a movement where youth are engaged and act on healthy foods, further understanding the unique Montana ecosystem and agricultural industry, within a culture where locally-sourced foods are promoted and the community thrives.